Incredible chalet located on the very top of the Legettaz area enjoying breathtaking views of the surrounding mountains through its massive and unique bay windows. Composed of 5 ensuite bedrooms, this exclusive chalet has great potential for an extension with a granted building license to create more than 300 sqm (more details on request) including the ability to recreate underground swimming pool and spa area. Built in the late 90's and early 2000's, the chalet has been upgraded many times since to keep it up with the latest standards making it one of the most amazing chalet in Val d'Isère. Standing majestically in the breathtaking natural setting of La Legettaz, discover the unique Kilimanjaro chalet. Spread over 4 levels for a total of about 350 sqm, it can accommodate up to 10 people very comfortably and will surprise you with its luxurious services and its sober interior decoration, providing a warm and elegant mix of natural stone, old wood and modern materials. Level 0: a ski-room equipped with boot dryers, and many storage rooms and garage. Level 1: Main entrance, 3 bedrooms en suited, a sauna, a generous terrace with Jacuzzi and plenty of storages. Level 2: A bedroom en suite, a work/office area, one semi professional kitchen, an amazing dining / living room with cathedral ceilings, fireplace, balcony and massive bay windows offering breathtaking views of the surrounding mountains and the valley. Level 3: A master bedroom with large balcony. With an interior marrying perfectly conviviality and independence, its situation in a peaceful environment right on the slopes side, Chalet Kilimanjaro will fill all your expectations. 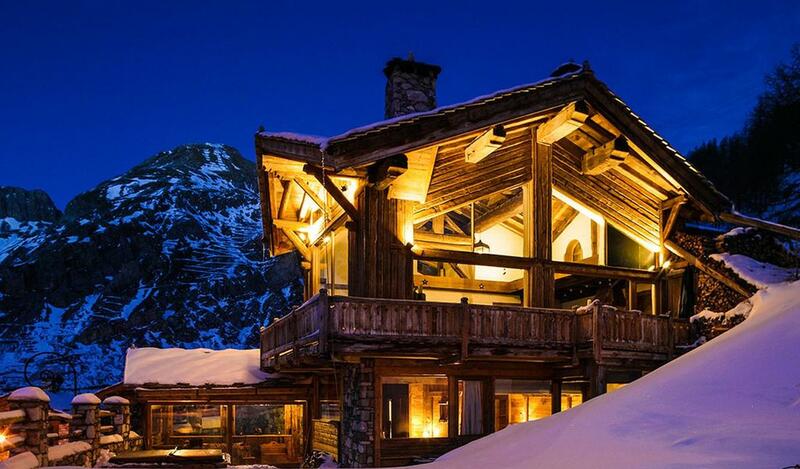 This is the ultimate ski property.